The Florida beach lifestyle can be yours! 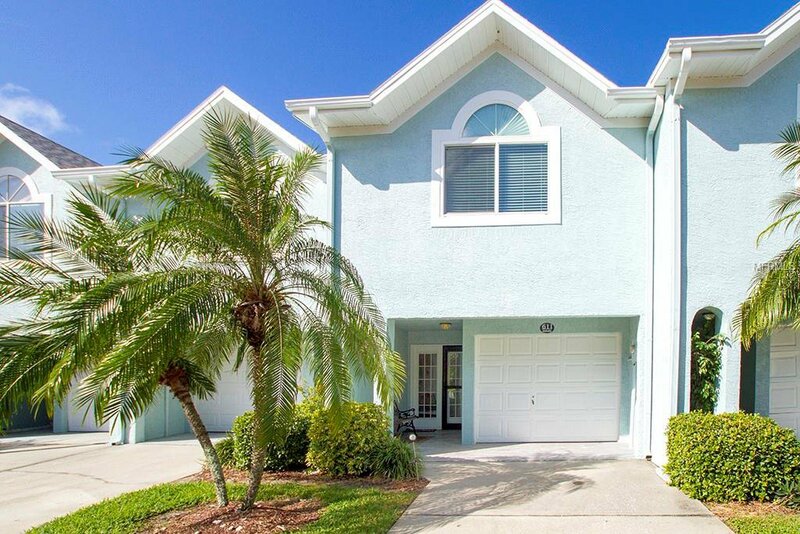 This move-in ready townhouse is ready when you are to be the base of all your carefree beach living. Located a hop, skip and a jump from the beautiful sandy beaches of the Gulf of Mexico, Curlew Landings is a vacation paradise all year round. The community boasts newly refurbished tennis courts and a large pool for your non-beach days overlooking the sparkling Intracoastal. When it is time to come inside you will find a beautiful ceramic tile entrance welcoming you to an easy to care for townhome with brand new air conditioning, hurricane impact windows, water softner, ceiling fans, and storm door. The very lower level includes garage with finished and insultated bonus room and walk-out patio for parties, game room or hobbies and storage galore. Upstairs a living room with a custom wood burning fireplace and balcony is open to the kitchen with large eating bar, floor to ceiling pantry and dining room. Rounding out this floor is a master bedroom, with large walk-in closet and adjoining bath with shower. Upstairs are two more sizable bedrooms one with private balcony overlooking lush foliage, large bath, and washer and dryer. Beach life is waiting, time to start enjoying the good life! Listing courtesy of COLDWELL BANKER RESIDENTIAL. Selling Office: FUTURE HOME REALTY INC.